A stay at Hotel Fuerstenhof Leipzig places you in the heart of Leipzig, within a 15-minute walk of Leipzig Zoo and Gewandhaus. This 5-star hotel is 1.2 mi (2 km) from Red Bull Arena and 2 mi (3.2 km) from Arena Leipzig. This beautiful 4-star hotel is set in a green, tranquil location in the Auenwald forest, on the outskirts of Leipzig. Leonardo Hotel und Residenz is just 2.5 kilometres from Leipzig city centre. 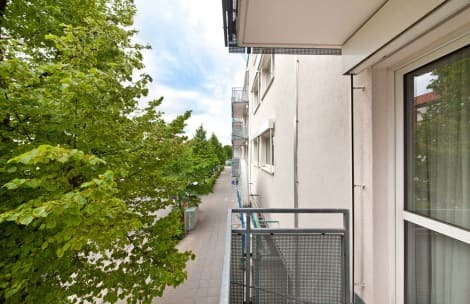 It enjoys excellent public transport connections to the main railway station, the Neue Messe exhibition centre, airport, the Cospudener See (lake) and the golf course. The hotel offers guests particularly fine features, such as king-size beds, a granite finish and granite floors in the bathroom. You can enjoy delicious Mediterranean specialities in the Mona Lisa restaurant. Relax and take it easy in the hotel spa facilities, including a sauna, steam bath and physio-therm cabin. With a stay at a&o Leipzig Hauptbahnhof, you'll be centrally located in Leipzig, within a 10-minute drive of Leipzig Zoo and Red Bull Arena. 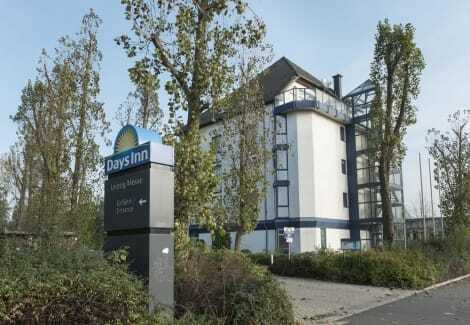 This hotel is 0.6 mi (1 km) from Gewandhaus and 2.9 mi (4.7 km) from Arena Leipzig. 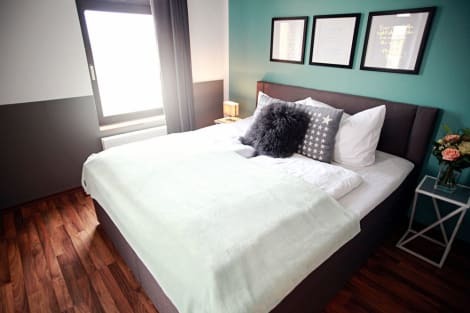 With a stay at Central Globetrotter Hostel Leipzig Hauptbahnhof, you'll be centrally located in Leipzig, a 8-minute walk from Leipzig Zoo and 11 minutes by foot from Museum of Fine Arts. This hostel is 0.9 mi (1.5 km) from Leipzig City History Museum - Neubau and 0.9 mi (1.5 km) from Leipzig Opera. Pamper yourself with onsite massages or take in the view from a terrace and a garden. Additional amenities at this Art Deco hotel include complimentary wireless Internet access, tour/ticket assistance, and a picnic area. Make yourself at home in one of the 113 guestrooms, featuring kitchens with refrigerators and stovetops. Complimentary wireless Internet access keeps you connected, and cable programming is available for your entertainment. Conveniences include safes and desks, and housekeeping is provided daily. Stay in one of 27 guestrooms featuring flat-screen televisions. Complimentary wireless Internet access keeps you connected, and cable programming is available for your entertainment. Conveniences include washers/dryers and blackout drapes/curtains, and housekeeping is provided weekly. Featured amenities include complimentary newspapers in the lobby, a 24-hour front desk, and multilingual staff. Planning an event in Leipzig? This hotel has facilities measuring 1346 square feet (125 square meters), including a meeting room. Self parking (subject to charges) is available onsite. lastminute.com has a fantastic range of hotels in Leipzig, with everything from cheap hotels to luxurious five star accommodation available. We like to live up to our last minute name so remember you can book any one of our excellent Leipzig hotels up until midnight and stay the same night.